Many happy returns to William Shakespeare: 454 years after his birth the playwright still dominates British theatre and culture. He is one of our most valuable exports. Shakespeare has passed into everyday discourse to the extent that we describe political downfalls as Shakespearean, and his plays are embedded in our sense of self. Like St George, he has become associated with an ‘olde worlde’ Englishness where Rosalind and Orlando forever romp in a leafy forest of Arden. He’s a global icon, selling not just theatre tickets but also beer and a particular brand of Britishness, and he is the government’s best weapon when it comes to cultural diplomacy. Maybe we just need a world tour of King Lear to secure the post-Brexit trade deals that Boris Johnson is confident are within our grasp. Shakespeare is arguably our biggest brand and a big generator of tourism. Commercial companies know that being associated with Shakespeare confers credibility and confidence, which is why BP wants to maintain its links with the Royal Shakespeare Company in the hope of art-washing its environmental record. Actors best known for movies and TV win authority and status by playing his leading characters on stage. But they all seem to want to play Hamlet in London when actually they would win more kudos if they did it in Leeds or Newcastle-under-Lyme. 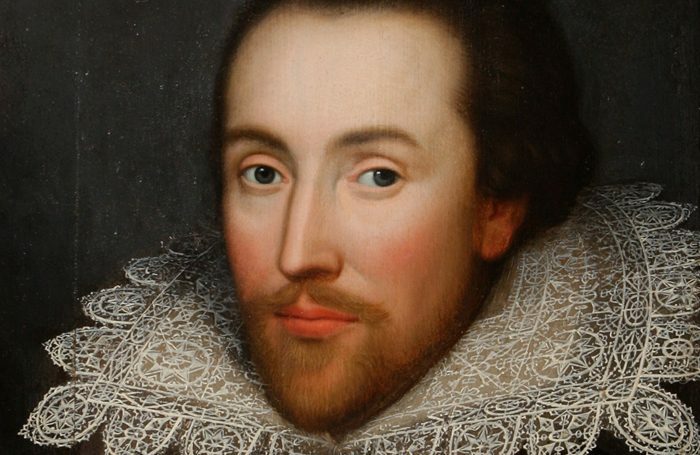 While other playwrights in the classical repertoire wane in popularity, Shakespeare thrives. The 2014 repertoire report found that of the 96 classical plays presented in 2014, 71 were by Shakespeare, who represents 6% of all productions of plays, 10% of all attendances and 11% of the box office take. Where would British theatre be without him? Quite possibly in a more interesting place. Of course, we are blessed to have all those wonderful plays, but the success of Shakespeare has created a gold standard by which all British theatre is calibrated. He set us on a path of literary theatre that still dominates today. A little less Shakespeare production might allow a bit more room for new plays and the devised, visual and physical work that often gets too little space on our stages. With their lack of meaty female roles, Shakespeare’s plays set a norm for male dominance in theatre. Only very recently, with projects such as the Donmar’s all-female Shakespeare Trilogy, has British theatre woken up to the fact that his plays don’t require predominantly white, male casts. Like all great theatre texts, Shakespeare’s plays are infinitely plastic and malleable. Nonetheless, I think we have a Shakespeare problem. We like to borrow from Jan Kott and talk about Shakespeare as our contemporary, but for millions of people growing up in the UK, Shakespeare has also come to signify something that feels as out of reach and not for them. Shakespeare brought pleasure to thousands of ordinary Elizabethan theatregoers. At that time, theatre didn’t have the diversity problem that 21st-century theatre faces. It reflected the society it served and that included commoners as well as queens. In his book 1599: A Year in the life of William Shakespeare, James Shapiro suggests that 15% of London’s adult population – many of them without access to education and literacy – were avid theatregoers who would have been familiar with Shakespeare’s plays. Yet in the intervening centuries the plays have ceased to be representative of the people and have become exclusive. Few things strike terror into the hearts of teenagers (and often their teachers) than an enforced trip to the theatre to see a Shakespeare play. When did Shakespeare go from being owned by the people to being something to be feared and only for an elite? We in theatre have to take some of the blame. There have been far too many dull productions of Shakespeare that treat the plays with too much reverence and not enough urgency. Productions such as Lloyd’s Shakespeare Trilogy that come with accompanying education projects are helping to change that, as is the superb work of the RSC’s education department. Under the leadership of Jacqui O’Hanlon, the RSC has been creating long-term relationships with schools to introduce children to Shakespeare when they are young. The results have been remarkable at every level, in many cases infiltrating every aspect of the curriculum, and changing the way that students, parents and teachers feel about Shakespeare. Most importantly, they feel they are as culturally entitled to enjoy his plays and claim them for themselves as anyone else. As playwright Lee Hall said: “Culture is something we all share, and we are all the poorer for anyone excluded from it.” Shakespeare is a major part of that culture and it’s up to those working in theatre to ensure that it remains accessible to all, a pleasure not a pain.